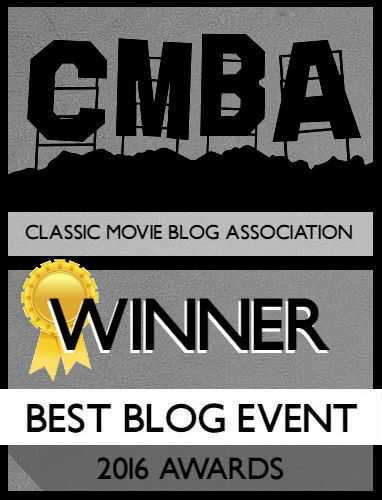 When I started this blog I never in my wildest dreams believed I’d attend the TCM Classic Film Festival (because the blog wasn’t classic based at the beginning but that’s beside the point). Even now, the concept of attending is very surreal to me. I doubt it’ll truly hit me until I’m immersed in the world of glamorous Hollywood and all it contains. What I’m presenting, as the first of many articles devoted to the TCM Classic Film Festival on this blog throughout the week, are the top picks and plans I hope to accomplish while attending. I doubt I’ll get to everything, but these are the dreams stops I hope to make. 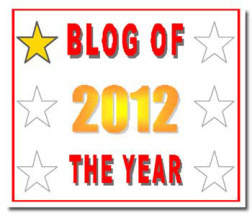 As always, be sure to bookmark the site or follow me on Twitter @Journeys_Film so you can stay on top of my coverage. Any screenings/events I definitely should get to? You know Meet Me in St. Louis is the screening all other events revolve around. This is the keystone of my Friday afternoon, forsaking screenings of Invasion of the Body Snatchers and A Matter of Life and Death. Not only will I experience this at the TCL Chinese Theater, but the incomparable Margaret O’Brien-the actress, second to Miss. Veronica Lake, who I adore-is in attendance! I’m disappointed Ryan O’Neal canceled his festival appearance, but the movie is still listed as having a discussion component so maybe someone even better will appear? Either way, Paper Moon is my favorite movie of director Peter Bogdanovich’s, a perfect blend of comedy and heart. I would have put Double Indemnity in this spot but my travel buddy isn’t a fan (I know, but you can’t please everyone). The two midnight showings are diverse but are just kooky, horrific, and bizarre to work as a double feature of TCM’s Underground series. 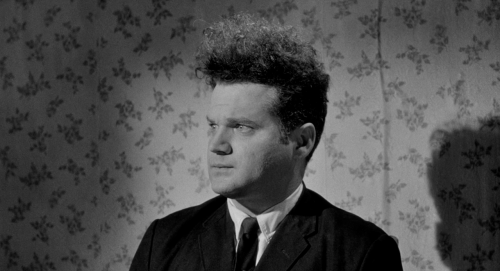 I respect David Lynch’s Eraserhead and Tod Browning’s Freaks. Each has stayed with me long after I watched them, and Eraserhead still creeps me out for reason I can’t truly explain. Honestly, I’m happy seeing either one so the winner will be dependent on the day’s events. A trip to L.A. always seems weird without stopping at Disneyland, but thankfully the TCM crew knew of my Disney love because they’ve given me a few opportunities to blend the best of Disney with a film festival. 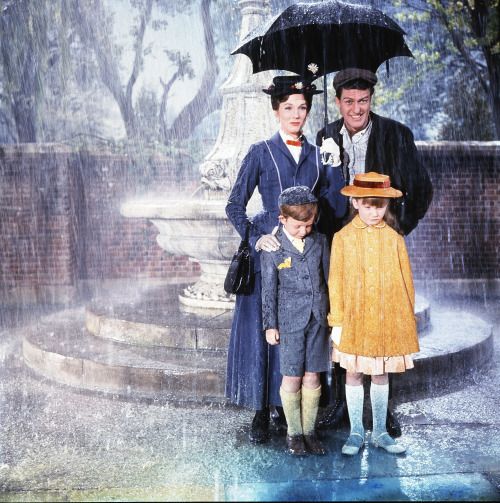 They’re showing The Jungle Book as well, but I jumped on a screening of Mary Poppins instead. Mary Poppins isn’t my favorite film, but it’s playing at the El Capitan with a discussion by acclaimed singer/songwriter Richard Sherman! Yes, there’s also a panel discussion with him later, but where else will one be able to watch a movie, where he composed the music, as well as see him in the flesh? Um, I’ve never actually watched The Muppet Movie. 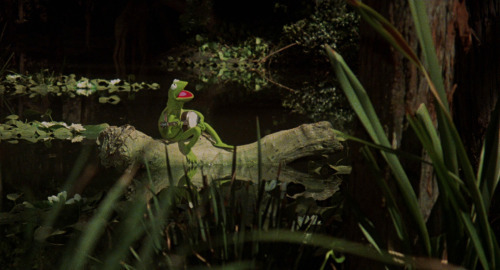 How can I love Jim Henson and not have taken in his debut Muppets feature? I can’t give you a good enough answer as to why I’ve never heard “The Rainbow Connection” on celluloid. Okay, and I’ll admit my putting this on my list isn’t because of the movie itself. SNL alum and host of the Essentials, Jr., Bill Hader, aka the coolest person ever (he played Vincent Price with aplomb….Google it) is hosting it poolside at the Roosevelt Hotel. I have another poolside to-do planned (American Graffiti) but didn’t put it on the list because I’m going for the food. I’m still not 100% sure I’ll make this, especially because it conflicts with something appearing in my Panels section later. But, with the unfortunate passing of Mickey Rooney last night, I fear missing an opportunity to see the great Maureen O’Hara. O’Hara’s public appearances have lessened, and who knows if we’ll see her at the fest again! As much as I want to do the panel event, I’d kick myself if I missed O’Hara. There’s quite a few festival attendees who are very excited this is playing and their excitement is rubbing off on me. You may remember Sunday in New York made my TCM Top 12 a few months back, mostly because of my unrepentant crush on Cliff Robertson. Based on the crowd for this, if you can’t beat ’em, join ’em. Not much is known about this first panel of the festival. All the details on the site say it’s a presentation of the network’s first twenty years with staff members recounting insights on the network’s success and what’s in store for the future. I’m a sucker for history of any kind! Since my flight leaves early on Sunday I’m unable to attend the closing night party, and thus the welcome party is where I hope to schmooze with the festival’s hotshots. Robert Osborne and Kim Novak, along with Jane Seymour, will sow of the TCM at 20 Exhibit-I love museum stuff-and talk briefly before the party. I don’t get many chances to attend parties at home, so I’m excited to put on a nice dress and mingle. And, since my schedule prevents me from attending the Ask Robert Osborne panel, this could be my lone chance to see him during the fest. I’m a fan of Martin Scorsese and any opportunity to hear a person who knew of him is reason enough to attend (and gotta support women in cinema). However, this is the panel conflicting with How Green Was My Valley. Yep, two top women and I have to decide who is more important. Did I say I love Disney? Yes, it isn’t enough to attend the Mary Poppins screening, I’m also making it top priority to attend the separate Q&A with Richard Sherman. I’ve read anecdotes he has about Walt Disney, and his popularity is certainly on the rise post-Saving Mr. Banks (oh, the questions about Jason Schwartzman I have!). I’m giving up a screening of A Hard Day’s Night to attend this! The fest’s main event is always the interview conducted with a celebrity and airing, one year later, in anticipation of next year’s festival. Last year Eva Marie Saint was interviewed (airing a few weeks ago) and 2015’s interview is focusing on Mr. Alan Arkin. Arkin’s starred in iconic works and this is a must-see for me. Maybe you’ll see me in the audience next year? These are a few small things I hope to squeeze in. Veronica Lake is the icon of this site, so I’d be a bad fan if I didn’t stop by her star on the Hollywood Walk of Fame. According to the site the star is near the El Capitan so maybe, while waiting for Mary Poppins, I can squeeze in a quick photo. The Disney, now Ghirardelli Soda Fountain, is next to the El Capitan and I’ve heard nothing but great things about it. I’m hoping to gather a group of blogger buddies for a quick bite on top of the Mel’s themed screening of American Graffiti. So much to do and I hope to keep you posted on everything! The TCM Classic Film Festival runs April 10th-13th. Coverage starts Thursday!